February | 2011 | What Am I Thinking? Well, Jedward are off to Germany in May to represent Ireland in Eurovision. “Here we go again”, I can hear some of you say. Maybe not. Jedward’s performance of the song “Lipstick” was energetic, it was well staged and executed by all, and the choreography was polished. The song wasn’t bad either, and John and Edward gave their best singing performance ever, on TV anyway. It looked and sounded like it could be a contender, although I’m not sticking my neck out and saying that it will win. The only sure thing about Eurovision is that your jaw is going to drop several times over the course of the night. However, we can only do better than previous years. The new format didn’t hurt. Not long ago I said here that we should just let the professionals manage our entry into this contest and stay out of the way. Well, that didn’t happen exactly, there was still voting, but all five entrants had a profesional to mentor them and put together well chosen songwriters with right artists for the song. In Jedward’s case, the mentor was Caroline Downey Desmond working with songwriters Dan Priddy, Lars Jensen, and Martin Larson. As a result of the professional approach, all of the songs and performances were of a better quality than we’ve come to expect, and although not all of them could be considered Eurovision songs, they were far above being embarrassing. It will be interesting to see how the lads fare in May. The song is by the Bonzo Dog Doo Dah band, a collection of lunatics from the 60’s. No doubt, those of us above a certain age remember this track well, and maybe a few more such as “Hunting Tigers Out in India”. The band included Neil Innes on Piano, who later went on to help create the Rutles (a Beatles parody band, years before Spinal Tap) and musical work with Monty Python. “The Intro and the Outro” introduces each member of the band, and gives them a few bars of solo time. Once out of actual band members, the MC continues to introduce anyone else who comes to mind (e.g. Charles de Gaulle on accordion, Snoopy and his pals tap dancing, Roy Rogers on Trigger, etc., etc.) until it seems there could no remaining room in the studio. Take the three minutes for this bit of seldom heard history. 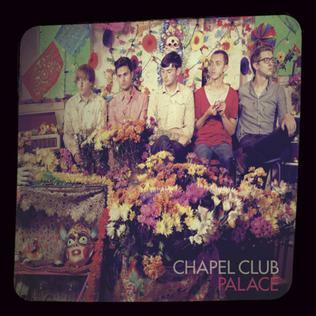 There’s something I find appealing about “Palace”, the first album release by London Band Chapel Club. Dark, moody and melodic, with plenty of atmospheric echo and sound layering, the music sounds powerful without being overbearing, and fairly orchestral sounding for a five piece with all the standard instrumentation. While tracks seemed a bit too similar by the end of the first listen, subsequent plays reveal a fair bit of variety within the self-imposed constraints of defining a distinct Chapel-Club sound. That sound owes a fair bit to the 80s. Chapel Club cite New Order as an influence, and you can certainly hear that. I can also hear a bit of Jesus and Mary chain, some Morrissey, and a dash of Echo and the Bunnymen. Front man Lewis Bowman has a lot to do with invoking that vibe, with his deep, relaxed baritone. At his best, Bowman conjures up some decent lyrical imagery that helps put this album a cut above others made by artists of their age. “All the Eastern Girls” is my favourite example of that. Chapel Club are often most effective when the song pace allows Lewis’s vocals to roll out unhurried, as bassist and drummer Liam Arkle and Rich Mitchell provide steady propulsion below, such as on the opening track, “Surfacing” (which is currently stuck in my brain). The way that the chorus of the Mama Cass standard “Dream a Little Dream of Me” is lifted wholesale and dropped into the refrain of “Surfacing” nearly made me laugh the first time I heard it, but it wasn’t long before the initially jarring juxtaposition felt like a perfect fit. The role of guitarists Michael Hibbert and Alex Parry seems to be to support the songs, as opposed to being flashy guitar slingers. As such, they fill out the sound with arpeggios and subtle flourishes that work perfectly well without necessarily drawing attention away from the arrangements. The Deluxe version of “Palaces” includes a four song EP that’s well worth obtaining. These aren’t outtakes, but four songs recorded after the “Palaces” sessions, originally released only on vinyl and available at only one gig in Manchester last December. The sound is slightly different than the album, perhaps not quite as big, but the feel seems to flow a bit easier and be a bit more intimate. I won’t be disappointed if this is a preview of their evolving sound. Rock/blues legend Gary Moore was found dead early sunday morning, in his hotel room in Costa Del Sol while on holiday in Spain. The cause of death is not known. For more than 40 years, Gary Moore consistently enjoyed a distinuished career as a guitarist in bands and as a solo performer, even though his profile was not always high. Although his time with thin Lizzy was brief, he is probably best known as member of that band. Ironically, his most widely known song as a solo performer is “Pariesienne Walkways”, which features ex Thin Lizzy bandmates Phil Lynott and Brian Downey on vocals and drums respectively. Moore and Lynott co-wrote the song. Gary Moore’s playing on “Pariesienne Walkways” is simply one of the most beautiful and soulful performances ever recorded. Click the link for more information about Gary Moore, or go to the official web page, which is currently dark out of respect. “Now I know/that it’s all been done before/it’ll all be done again”. Ain’t that the truth. For the last few weeks, the people who put the money into advertising the Funeral Party have been telling me their band is one of the most exciting I’ll hear all year. Sorry folks, they’re not even the most exciting band I’ve heard all week compared to, say, Chapel Club or Esben and the Witch. However, I can see how the lad’s first album “The Golden Age of Nowhere” might be flavor of the month. 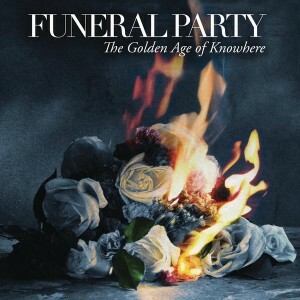 Funeral Party plays Indie pop rock similar to other bands such as the Strokes, the Killers, and Passion Pit, etc., etc. The band sounds young and energetic. 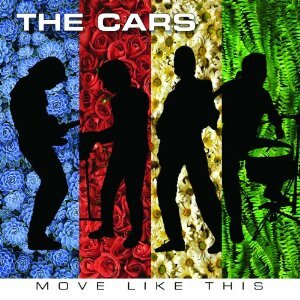 The album is laden with hooks, there’s enough variety to sustain the album, and almost every song is a driving force. Even the one relatively slow song, which is buried in the penultimate spot in the track listing, seems to want to kick it up a couple of gears on occasion. The hyperdrive effect is aided by in-your-face production. Despite them being a four piece band, there are times when the compression puts them in danger of sounding like the audio equivalent of the stateroom scene on “A Night at the Opera”. There’s also enough familiarity to attract people who like what they know, which is my biggest problem with the album; It’s a little too derivative in spots without having enough of an overall individual personality. However, there are some interesting things going on in the song introductions and slotted in here and there that hint at more creativity than we’re getting in these mostly eight-to–the-bar standard song structures. James Torres’ guitar gives off some nice tones and good riffs, even though none quite reach classic status. Kimo Kauhola and Tim Madrid keep things driving along on bass and drums respectively. For the most part, the lyrics are too generic to be meaningful, but they are stated by singer and keyboardist Chad Elliott with great force and conviction, so one assumes the words mean something to him. The main sense I get from this album is that it was honed in a live environment, and I can imagine that the material works best with an audience. Two songs (“New York Moves to the Sound of L.A.” and Finale” ) even include scripted crowd chants. There is definitely craftsmanship going on here by a band that has every intention of being around for a while. OK, so not a bad first effort for these kids, though I can’t see myself coming back to this one too often – there’s not enough individuality and substance for my taste. But lurking in the corners is a promise that the band might get more interesting with subsequent releases.